Grease a 10" square cake tin or 3 loaf tins (I recommend using loaf tins if you have them, as the dough bakes more evenly). 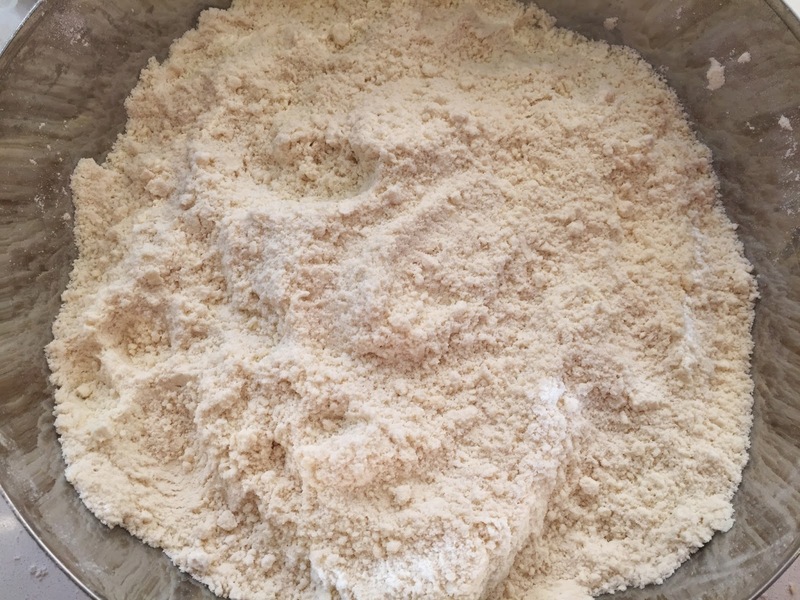 Sift together the flour, baking powder, bicarb, cream of tartar and salt into a large bowl. Rub the butter into the flour mixture until it resembles fine crumbs (see video below for technique). In another bowl beat together the buttermilk, sugar, eggs and oil. then knead to a smooth dough. 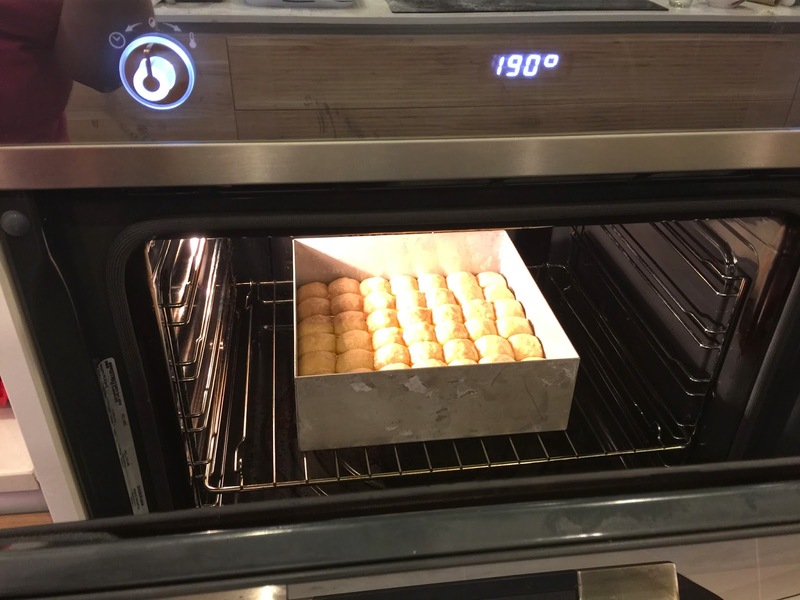 Measure out balls of dough to a weight appropriate to divide the dough evenly into the pan/s you are using. I only have 1 loaf tin, so I used my 10" square cake tin instead. 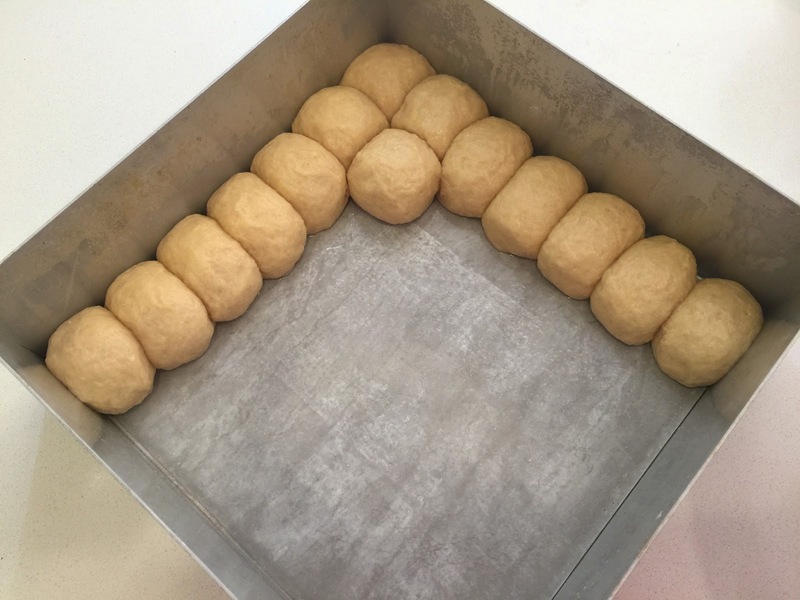 To make 7 rows of 7 balls of dough, I measured out 55g balls. 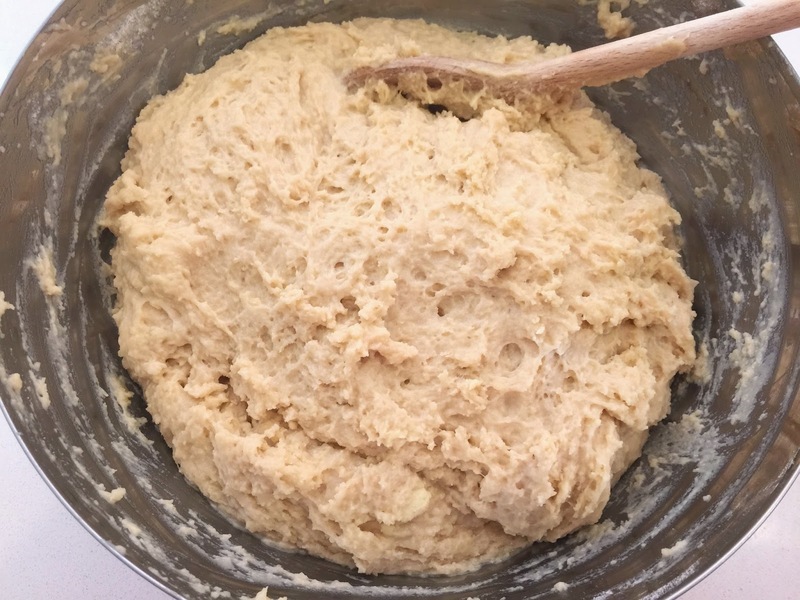 For the loaf tins you would place the balls of dough 3x6 (50g balls) or 3x5 (60g balls), depending on the dimensions of your pans. 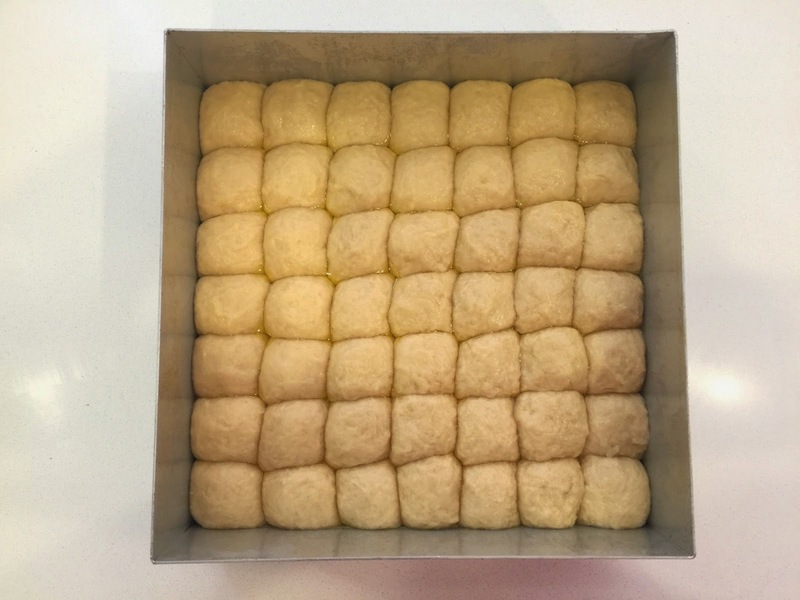 Roll the measured out dough into smooth balls and place in tight rows in the tin/s - see video below for the technique. until they are browned on the top and the dough looks cooked all the way through (pull a couple of the 'balls' apart gently towards the centre of the pan). then turn out on to a cooling rack. Once they are cool (after a further 20-30 minutes), gently pull the rows apart with your fingers. Then pull those apart into individual rusks. 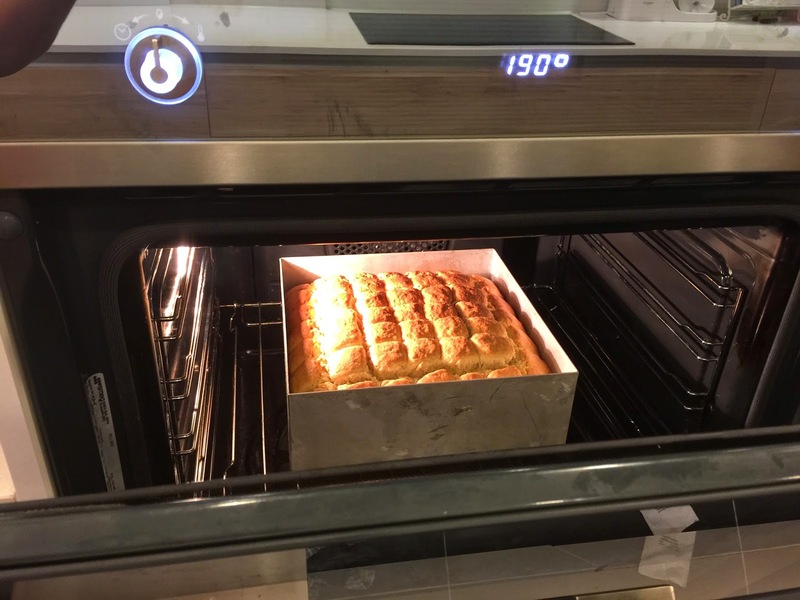 and bake again at 100°C for 5-6 hours (or overnight - a little longer will do no harm). When they are ready they will be hard and crunchy all the way through. They are delicious to eat on their own or dunked in a favourite hot drink. They can be stored for a long time in a sealed container, though ours have never lasted more than a few days!